News by Lindsay M. and Matt S.
When a game’s press kit comes with handwritten additions that are reminiscent of Harry Potter’s notes in Fantastic Beasts and Quidditch Through The Ages, I’m going to perk up. The title emphasizes an actual wizardry element: My Uncle Merlin, an interactive fiction game that is enriched with RPG elements. More, please! The story follows Eddie, who isn’t your typical protagonist. His tale starts as familiar – he’s a young apprentice who will do anything to prove himself – but his moral compass is unfortunately askew so you’ll be, and I quote as to not miss a detail of his torrid deeds, “lying, stealing, bullying, kidnaping, committing fraud and perjury, tax-avoiding, drug-dealing, contract-killing, non-contracting killing, or committing copyright infringement.” Sure, it’s fun being bad, but one can only hope it proves fruitful in the end! Eddie’s uncle is, shockingly, Merlin. They are about to fly on a dragon-propelled wizard tower through space. That’s right: wizards, dragons, and outer space. How weird and wonderful! The pair will meet lots of odd creatures during their travels, and not all are out to help. The press kit promises that the game is “a celebration of the unconventional” that takes well-known psychological concepts and puts them amongst this fantastic world that has been created by Pocket Mana (based out of Serbia, which we don't see too often!). My Uncle Merlin will be available for backing via Kickstarter soon, and I know I’ll be rushing to do so! Admittedly I’m getting a little tired of the Limbo-like aesthetic where everything in a game looks like it’s silhouetted, but if Projection delivers on its narrative promises, I’ll be more than happy to forgive it, because it’s sounding quite powerful. Additionally, the game promises to be quite informative about the cultures of those heroes that help her out and, depending on how that is handled, means this game could be quite inspiring and enlightening… especially since we’re talking about cultures that people in the west don’t often learn about: Indonesia, China, Turkey, and others. This game comes from a rookie studio, but it looks like the team is doing everything right. The game was developed in consultation with one of Australia’s most prominent puppeteers to get the animation and aesthetics right, and it certainly seems like a genuine enough game. We’ve got a while to wait for the final release – Q2 2018 – but this is one that I’ll be watching closely. Hey cool! GT Sport demo inbound! We really like racing games at DDNet. This continues to surprise people, but yes, even I can enjoy a game that doesn’t involve cute anime games in bikinis. When I’m not playing my girl games, in fact, you’ll generally find me buried in one racing game or another. So I’m greatly looking forward to messing around with Gran Turismo Sport four-day demo, which starts from October 9, 8pm, Australian Eastern Daylight Savings time (AEDT). This demo seems pretty comprehensive, too! 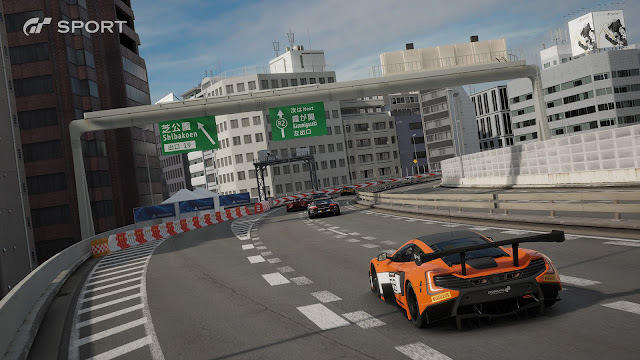 You’ll be able to play three different modes – Sport Mode, Campaign Mode and Arcade Mode – as well as a look at “Scrapes”, the game’s photo mode that promises to be something spectacular all in itself. The best news of all is that if the demo wins me over (and it’s probably will, let’s be honest here), it won’t be long afterwards that the full game releases – October 18, baby! 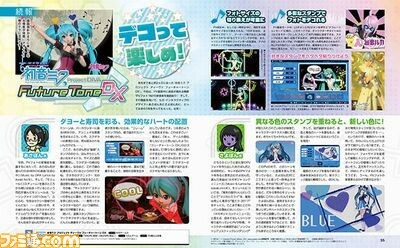 New feature coming soon to Hatsune Miku: Project Diva Future Tone DX – could this game get any better?! The answer to that question is difficult. How does one improve upon perfection? Well, it turns out it’s through a photo feature, revealed in the current issue of Weekly Famitsu. The PV Photo feature can take screenshots when watching music videos. You can then trim the shot and fill any space you wish with stamps to decorate the photo. Make it fun, make it quirky, make it Miku! Hatsune Miku, as a whole, is entirely loved by the crew at Digitally Downloaded. If you’ve somehow missed Matt’s original review of Project Diva Future Tone DX, you can read it here. For another view on the game, Clark’s review of the Western release can be found here. The game is finally getting a physical release in Japan on November 22, with both standard and limited editions available.